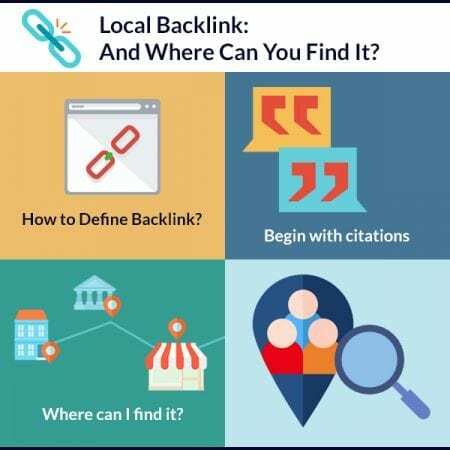 Local Backlink: And Where Can You Find It? Backlinks are crucial in website’s rankings, regardless of the business type. Some small businesses find it difficult to set links for their businesses. Even by chance you have the required budget, creating links will take time which you cannot afford. Here we help you learn how you can start your local building campaign. Old School believed that link building was about creating several authentic domains that provide link which takes audience to your websites. Several small business websites such as local newspaper might find this method expensive. So, if you’re looking forward to building links for your pottery store, it’s essential that you realize what you want to achieve. You can get local backlinks with the purpose to build a reputation for your website. Moreover, SEO experts will ask you to provide N.A.P (Name, Address, Phone Number), creating several citations, generating hyperlocal content and building links. Before selecting a domain to keep in mind the limitation of your local business. Your business won’t be successful if your website gets traffic from New York while you are doing business in Florida. Even though your selected authoritative site might not be as popular as Huffington Post but they surely have influence in your local market. First you must Build citation, look for general directories and provide valid information you are currently in. Citations are useful because they provide you with a way to place your information somewhere so that you can link down to great websites that don’t spam. The principle behind this process is to enter into a habit of popularising your business name in as many sources as possible. Are there opportunities? Where can I find it? There is this idea that local link building can’t generate benefits, it might not be natural, and it may appear impossible. And that is the reason why those who perform local SEO require being more creative than those just doing SEO for a large niche. Link opportunities are insufficient, and you need to fight hard to get a ranking for competitive local keywords that don’t command high search volume. The following are some types of local links that you can develop for your shop. • Local bloggers with a small following within your locality. • Local newspapers that feature media outlets on local eats. • Local event pages that create content on what one can do in a given location. • Local businesses that have websites and are open to local partners page. • Local charities that can help sponsor small business owner. Based on the above data, there are very many opportunities. If you are doing SEO for the local space, it’s essential to know the limits of that local space and convert that space to be your new station. Everything that you do to market this business should be within the confines of the radius you set forth. If you can understand your limitations, it will assist you to think creatively and efficiently so that you find the correct opportunities in that space that will later contribute to a higher value to the business website you are working on. By taking time to look for successful businesses within our local space, we can begin to find some little opportunities to build links, search for local writers, sites and blogs in general that have offered support to local businesses. If you want to learn more about how to be successful with Local Backlinks, consider visiting ISEOU. Here you will find insightful information that is helpful for you.